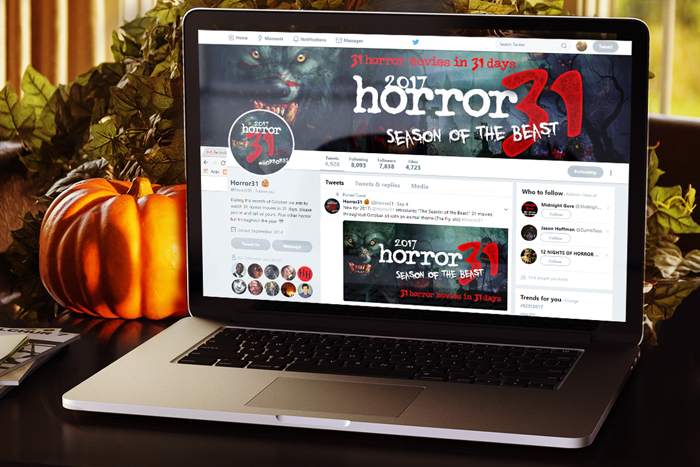 With almost 8,000 followers @Horror31 is one of the most upcoming horror entertainment accounts on Twitter. I designed their logo and all the promotional artwork for the page. Every October they challenge followers to watch 31 scary movies in 31 days. Promotional advert for countdown to Halloween. Promotional Twitter advert for ideas of movies to watch for their 2017 ‘Season of the beast’ challenge.